The worst is over but as you’re piecing together the broken parts of yourself, you come face to face with your fears. Will your ex move on faster than you? What’s going on in your ex’s mind? These are just some thoughts that vaguely but definitely cross your mind. 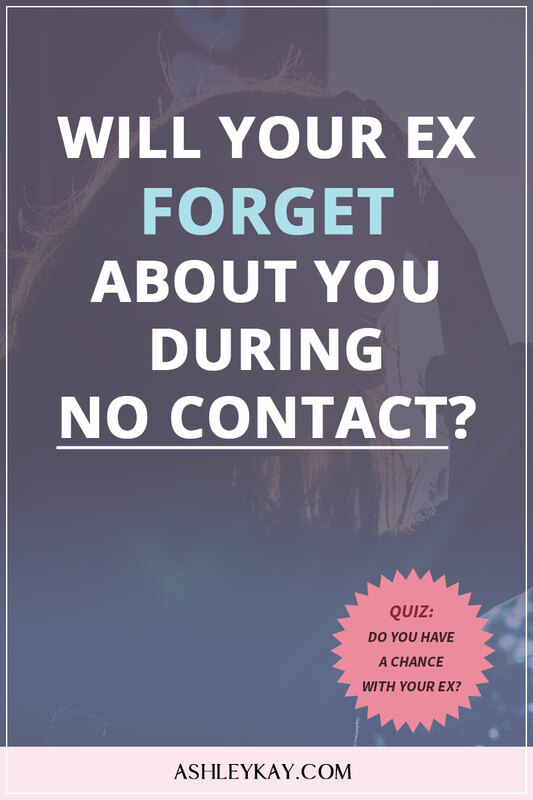 So, how do you deal with your ex moving on and how do you handle yourself during the no contact rule? BIG QUESTION! After a breakup, one suddenly limits their social interactions, especially, where one’s ex is concerned. This is where the no contact rule kicks in and you start to think about the legitimacy of your existence in your ex’s life. Are You Scared That Your Ex Will Forget About You? Before we dive right into this, we need to know that what people are looking out for are certainty and reassurance, that everything is going to be okay and that the future is not that bad. Reassurance is really important when you feel your world is collapsing and it can mean a lot when it comes from someone close. When you’re afraid or fearful of losing something or someone, your brain starts to play tricks! Likewise, when you’re fearful of your ex moving on, you don’t want to do no contact mainly due to the fear of the images of your ex moving on, being super happy, having a time of their life and not thinking about you at all! Since we are in so much pain, we’re constantly missing our ex. The idea of your ex not even thinking about you can really damage one’s self-esteem. Ironically, as human beings we sometimes like to induce pain on ourselves. A lot of it is your brain playing tricks on you. On the other hand, your ex is dealing with the break up THEIR way. When we have relationships there are a lot of strong emotional memories of a person or a thing. Whenever one falls in love, or when you’re in a relationship (heightened moments in one’s life as I’d like to call it) that is intense, it’s very hard to forget those moments because they’re there for a reason. We tend to have memories of both the good moments and the bad moments as it gives us context to move forward, on what to move towards and what to avoid in the future. These are just basic things we learn from our experiences. Another reason that proves that your ex will not be able to forget you is that they will remember certain things that you did with them or around them that will be etched in their mind. For instance, anytime they listen to a certain type of music they will associate it with you. Similarly, when your ex watch a particular movie, it will remind them of you because you watched it for the first time together and it was a happy moment. In short, these memories are meant to be there and pretty much impossible to forget. The fear of this comes from “the law of reciprocity.” This law means that when we do something for someone, we expect the same kind of treatment back. Since you feel life should be fair, you automatically feel that if you display certain care then you might receive some back. Generally this works (like karma) but it doesn’t always work! But of course, when you miss your ex, you’ll think of anything and everything possible to get them back. For example, if you tell your ex you love and miss them, you’re expecting the same in return and are hoping that they come back into your life. Unfortunately, this equation doesn’t work here. The law of reciprocity doesn’t work every time and if it did work, they’d come back to you. Yep, I get it. If you love your ex, you don’t want to lose them… but keep THIS in mind! People can and often DO change their mind! I’m sure you’ve changed your mind about something. We all do. Your ex may act like a stranger now, but who knows what the future will hold. Who knows if you’ll even want them back or who you’ll meet. This question sets you up to fail. “How can I heal myself? These questions will lead you to a WIN-WIN solution, the current one won’t! After all, it really isn’t about the ex coming back. If you put too much “expectation” on one particular person, you’re setting up for a disappointment – and a BIG one at that. You can’t control people, you can influence at best! At the end of the day they have their own mind, they can do what they want and do you really want to waste time trying to persuade them to give you that one thing you want? Filed Under: Break Up, Dating Men, Relationship Advice Tagged With: make her miss you, make him miss me, no contact rule, will me ex forget about me?